Emerge, founded in 1976, is a not-for-profit organization headquartered in Columbia, Maryland. Our mission: serving individuals with developmental, physical and mental health disabilities through supported living, residential, day, pre-employment, and employment services. 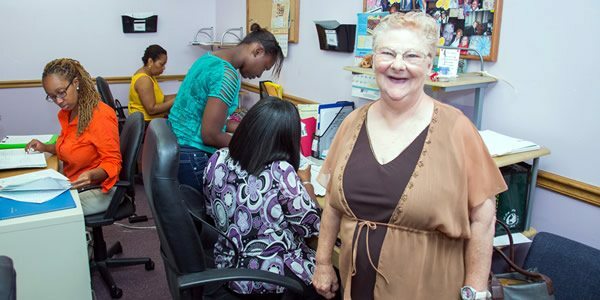 Today we serve more than 450 individuals with disabilities and their families in Baltimore City and Anne Arundel, Baltimore, Howard, Montgomery, and Prince George’s counties. Many of these individuals have been rejected—or deemed unresponsive to treatment–by other agencies. But at Emerge we don’t give up on individuals entrusted to our service family–no matter how severe their disabilities–and we encourage them in choosing personally enriching paths to living and working in their communities. Our team, augmented by an expanding circle of families, volunteers, and local businesses, is the key to our consistent success. Emerge funds its good work through government, foundation, corporate, and support from caring individuals in the community. We are governed by a professional leadership staff and a Board comprised of Emerge senior staff members, community business leaders and supporters, parents and siblings of our customers and several customers themselves. You can find a third-party overview of Emerge, as well as our current 990 forms, as filed with the IRS here: http://www.guidestar.org/organizations/52-1073386/emerge.aspx.